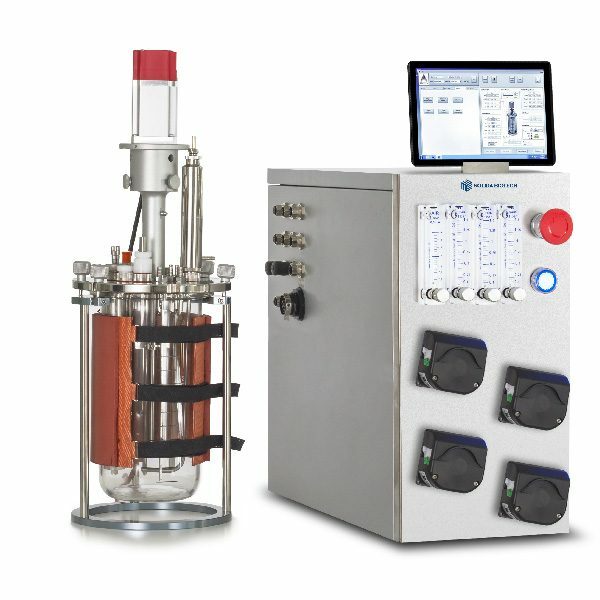 Flexible entry-level bioreactor system that is designed for fermentation and cell culture operating modes. 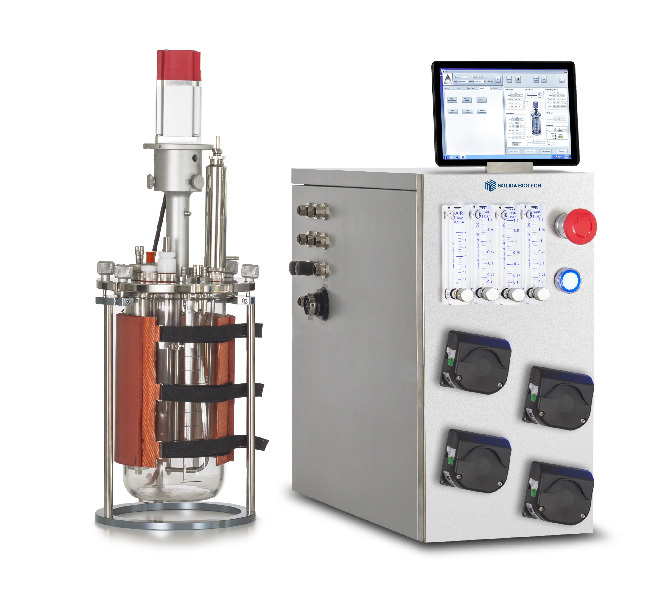 Compact Bioreactors is a line of latest generation bioreactors that can be used for basic educational applications, but also for advanced bioprocessing and development. Applications include cell culture, stem cells, fermentation of bacteria, fungus, yeasts, photo-sensitive organisms such as plants and algae and more. 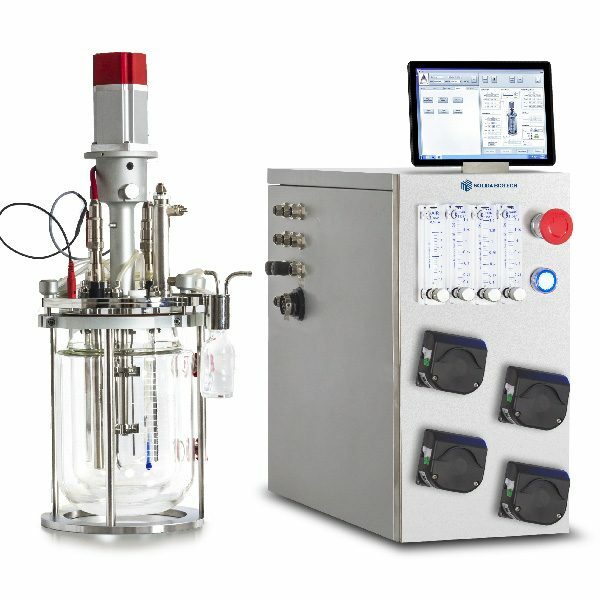 The Compact Bioreactor supports standard 4 fixed and/or variable peristals pumps, 4 flowmeters and/or Massflow controllers, sensors for PH, PO2, Temperature, Level, Foam, Biomass, Gas Analyser, Glucose Analyser and more. Powerful mechanical and/or magnetic mixing system with variable range from 0 to 2000 rpm for liquid, semi-solid and solid bioprocesses. Compact is one of the most compact bioreactors on the market, occupying a truly reduced space of 280x400mm WxD to meet the needs of any lab. Another winning element of the Compact unit is its industrial connectivity with PCs and external networks, in addition to modern portable devices such as IPads and mobile phones via real-time Ethernet and USB data communication ports. 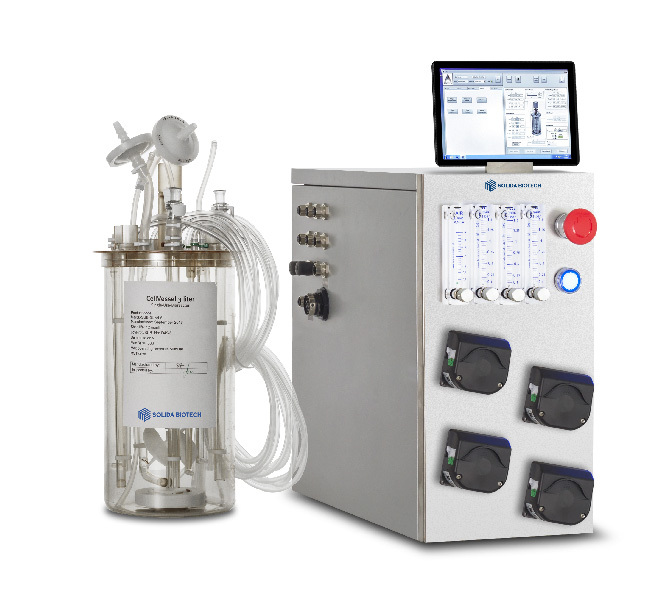 The Compact line allows you to alternate over 30 types of autoclavable vessels from 50mL up to 30L volumes in single and / or double wall versions and also Disposable Bioreactors from 250ml to 75 w/v. 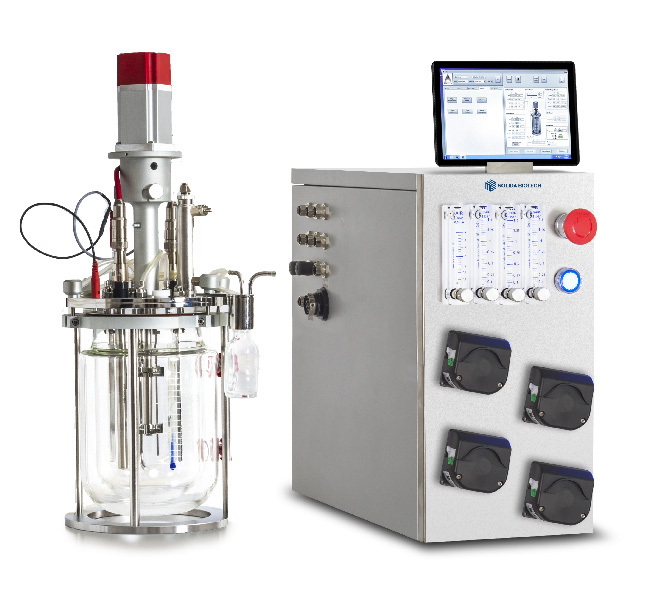 The entire bioreactor system is driven by BIOFLEX™ software, with an intelligent interface that is easily accessible, even for beginners. Thanks to the intuitive user interface, Bioflex is simple to operate, with reduced operator errors and reduced training needs. 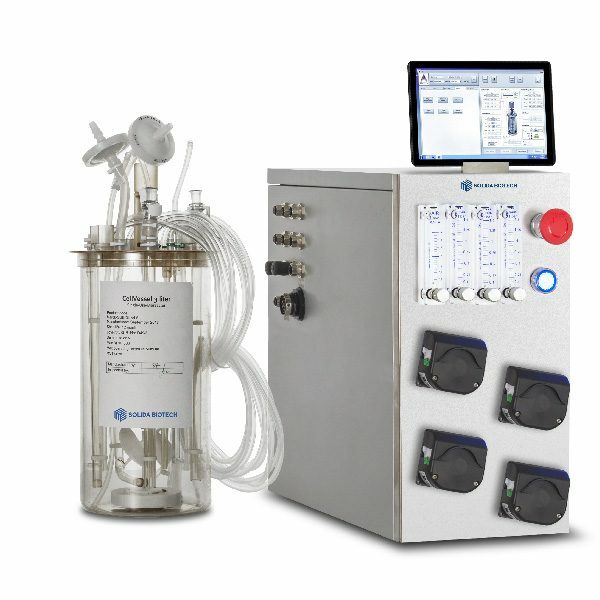 Bioflex software can be installed on a laptop PC, tablet or smartphone, and enables you to monitor and control your bioreactor at any time: in the laboratory, in the office or even at home. Click here for more informations about Biofelx Software.